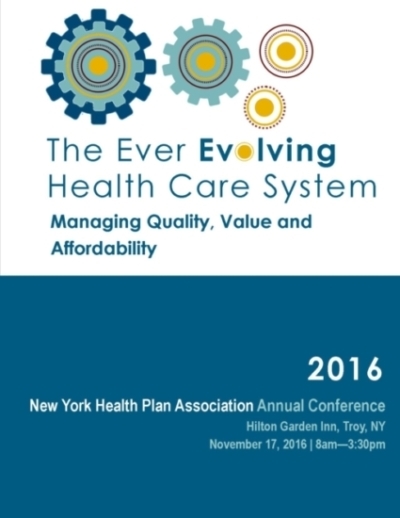 We hope you were able to join us at the 2016 NYHPA Annual Conference. We hosted more than 200 people who were in attendance on November 17th at the Troy Hilton Garden Inn as well as 40 exhibitors who were there to share new products and ideas. Health plans continue to change significantly in order to adapt to ongoing changes in the health care marketplace. 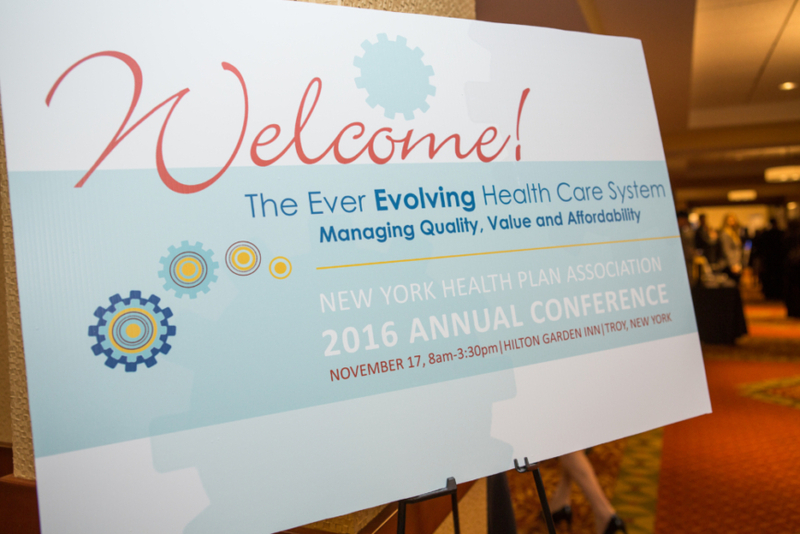 Recent catch phrases in health care include “value based,” “price transparency,” and “quality centric.” Defining these buzz words and understanding exactly what they mean—and what it all means in terms of our health care delivery system—was the focus of last year’s New York Health Plan Association Annual Conference. We took a look at some of the innovative ways health plans in New York and across the country are responding to the need to be accountable for quality, access and performance. We examined trends that encourage consumers to choose lower cost, high quality providers and to promote competition based on the value of care. And we discussed the challenges to achieving these objectives as well as the rewards they can provide. If you weren’t there, here are some highlights from the conference. 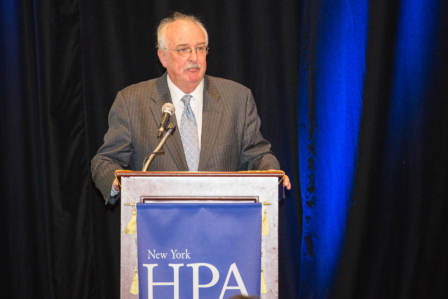 Thanks to all who made the day a success, and we hope to see everyone at the NYHPA 2017 Annual Conference! Ian Morrison shared his perspective on the future of the healthcare market place and what the 2016 elections mean for health care. Ian is an internationally known author, consultant, and futurist specializing in long-term forecasting and planning with particular emphasis on health care and the changing business environment. He has written, lectured, and consulted on a wide variety of forecasting, strategy, and health care topics for government, industry, and a variety of nonprofit organizations in North America, Europe, and Asia. He has spoken to a range of audiences from the boards of Fortune 500 companies to the Chinese Academy of Social Sciences in Beijing. Ian has worked with more than 100 Fortune 500 companies in health care, manufacturing, information technology, and financial services. He is a frequent commentator on the future for television, radio, and the print media.